For over 100 years, Five Roses has been artfully blended from a unique recipe, providing our tea with a distinctive touch of quality, which is why we are South Africa’s top-selling tea. Only the best Ceylon tea leaves, hand-picked from the lush highlands of Sri Lanka, are carefully blended with the highest quality teas from other select estates to bring tea-lovers the distinctive and exceptional Five Roses taste they have come to love and trust. 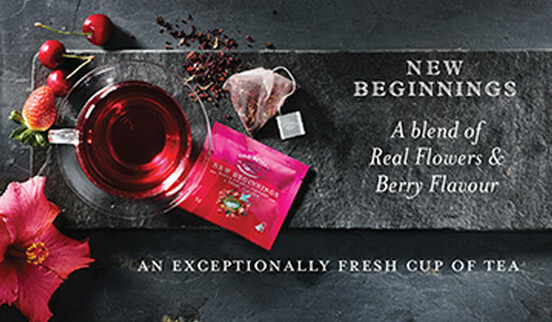 We are constantly involved in innovating quality new teas and blends to give you the choice and refreshment you expect from your favourite tea brand. With quality and taste at the heart of this iconic brand, it is reassuring to know that every box has been signed off by our expert Sri Lankan Tea Master, Dinesh Wijeyawardana; only the sixth ever Tea Master entrusted with the unique Five Roses recipe, and who ensures there is unsurpassed flavour, strength and aroma in every cup. 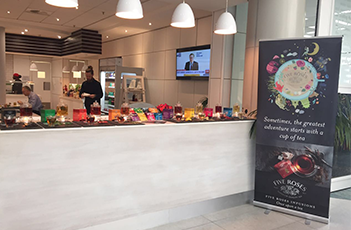 Five Roses has the widest range of tea products in South Africa, offering black teabags, black loose leaf, rooibos and specialty teas and the range continues to grow. Ciro distributes an extensive range of teas that suit the service industry, from the larger pack sizes to individually-wrapped tea bags. The newly-launched Infusions range takes avid tea appreciators on a flavourful tea journey with its taste-bud-stimulating flavours. 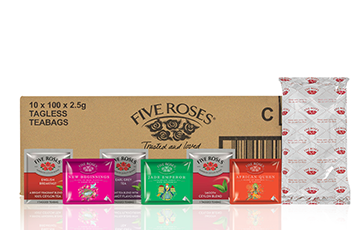 Five Roses has the widest range of tea products in South Africa, offering black teabags, black loose leaf, rooibos and specialty teas and the range continues to grow. Only the best Ceylon tea leaves, hand-picked from the lush highlands of Sri Lanka, are carefully blended with the highest quality teas from other select estates to bring tea-lovers the distinctive and exceptional Five Roses taste they have come to love and trust. Ciro distributes an extensive range of teas that suit the service industry, from larger pack sizes to envelope individually-wrapped tea bags. The newly-launched Infusions range takes avid tea appreciators on a flavourful tea journey with its taste-bud-stimulating flavours. Whether its is driving a unique tea theater experience or supplying in bulk format, quality is our passion. We are passionate about the customer experience, and are constantly developing our range to make sure we cater for the best tea moments. 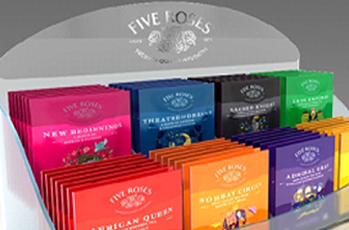 The Out of home envelope caddy helps you neatly display your favourite tea range for your customers.